Inventory and warehouse managers often find themselves battling inefficient operations due to inaccurate warehouse transactions and time-consuming manual tracking. With Warehouse Insight, this is now a thing of the past. 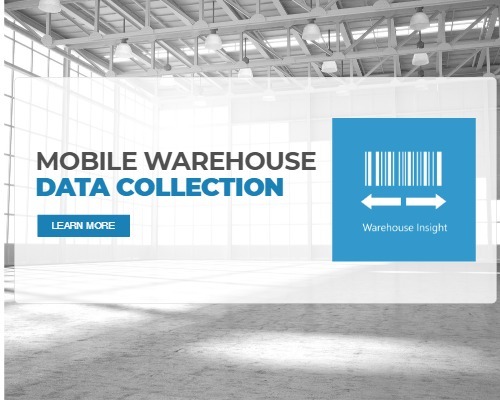 With support for all NAV Location configurations and item tracking configurations, Warehouse Insight brings mobile device integration to a warehouse setting. Built directly in NAV, Warehouse Insight has been certified by Microsoft for Dynamics NAV, which means it meets Microsoft’s highest standards for NAV add-ons. You can trust Warehouse Insight to work seamlessly with your implementation of NAV, regardless of your warehouse configuration. Insight Works’ Warehouse Insight supports a variety of industry standard scanners and other mobile terminals. This flexibility enables you to leverage existing infrastructure or to tailor the hardware selection to the specific needs of your environment. All major brands are supported including Datalogic, Zebra, and Honeywell. Insight Works can provide recommendations and procure and support the hardware providing a seamless implementation experience. Shop online for Warehouse Insight compatible hardware. Advanced features like license plating, advanced inventory count, application builder, activity logging, integration with Dynamic Ship, and more enable you to extend your NAV system to handle your specific warehouse operation needs. Inventory details from NAV can now be accessed and updated in real-time from the handheld device. This helps to ensure that the physical warehouse remains in sync with your data in NAV. The manual tracking of warehouse transactions is no longer required, reducing the overhead and potential for errors resulting from double-entry of the data. For industries where lot tracking is required, Warehouse Insight provides robust functionality to help streamline the process. Lot and serial numbers can be recorded and tracked directly on the handheld device. In addition to tracking, Warehouse Insight provides reports to help you comply with regulatory requirements. Warehouse Insight inherently supports all NAV location and item tracking configurations to quickly and efficiently enable a mobile workforce. Users will appreciate the consistent user interface as Warehouse Insight automatically adapts to the configuration applied to each NAV Location within Dynamics NAV, whether you have Directed Pick turned on or don’t even use bins. If you don’t use warehouse documents, you can still reduce the effort normally associated with processing a sales or purchase orders by scanning with Warehouse Insight. Scan items, enter quantities to ship or receive, and leverage all the advanced tools in Warehouse Insight to simplify your operations. 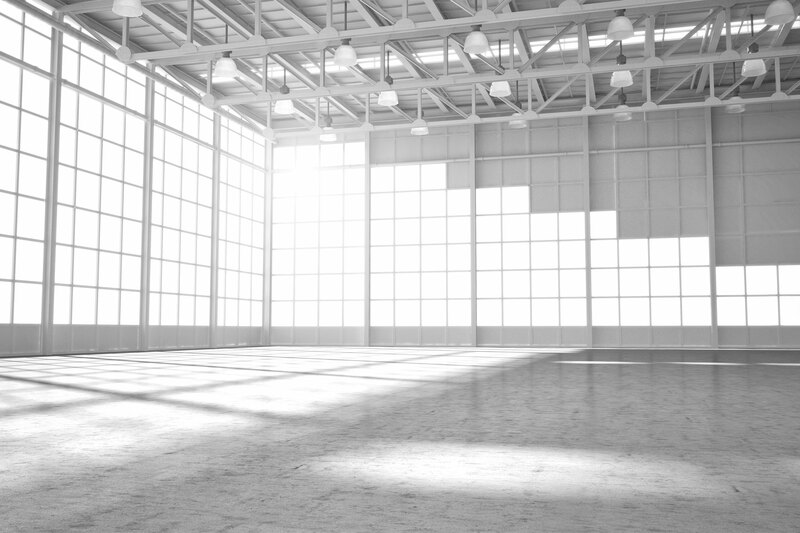 Warehouse Insight has full license plating capabilities. For businesses that need to track groups of items, such skids of materials, shipping containers, crates or boxes, etc., Warehouse Insight makes it easy. Warehouse Insight enables you to assign items to a License Plate Number (LPN) and then print a bar code right from your mobile terminal. Warehouse Insight is easily configurable to make sure the software can match your physical processes without having to resort to coding and customizations. Unlike other WMS systems where you’re forced to follow a specific workflow or sequence of actions, Warehouse Insight lets you configure the software to suit your specific needs. With Warehouse Insight, you have the option to program hot keys and screen layouts. It is a scalable and flexible solution that supports your business. Supports all NAV configurations like basic inventory without bins & advanced directed picks. A simple way to add new apps to the system, or extend existing apps with new business logic. All handheld actions are logged with in NAV for future analysis and investigation. Identify inventory items by barcode & reduce the occurrence of misplaced or mislabeled items. Automatically update devices without the need for additional device management systems. Support for all item tracking configurations & automatically logs all information into NAV. Don’t use warehouse documents? No problem. Warehouse Insight will still work for you. Execute Inventory & Warehouse Movement documents or created them from a handheld. Perform all shipping and receiving operations, including posting, directly from a handheld. Record & post consumption & output for Production and Assembly orders from handhelds. Take a photo from any screen in the system and automatically attach it to the proper record. 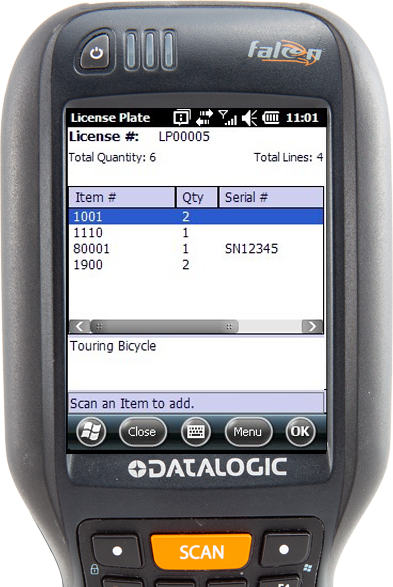 Supports all major brands and models of handheld computers, including Datalogic & Zebra. Includes a standard count module with the option for an advanced inventory count module. Scratchpad enables offline capture of all warehouse operational data then syncs with NAV. Generate labels to reference entire pallets, boxes, etc. that contain mixed items. Supports the management of Assemble-to-Stock and Assemble-to-Order assembly orders. Configurable decoding rules for any barcode format, including DataMatrix and QR Codes. Get more value from Microsoft Dynamics by making data available via EDI. How does Warehouse Insight handle multiple barcode formats? While Warehouse Insight supports multiple barcode formats including 1D, 2D, and others, the use of different barcodes will be limited by the barcode formats supported by the scanner you are using. For example, laser scanners will scan 1D barcodes however imaging scanners will be needed for 2D barcodes. Warehouse Insight provides configurable rules to decode any type of barcode and extract any required information, including item number, item cross reference, variant code,unit of measure, quantity, lot number, expiration date, serial number, and any other custom field. So the basic approach of mapping a vendor’s barcode to your own item is natively enabled when using Warehouse Insight. I already have UPC codes on my inventory. What needs to happen to move to Warehouse Insight scanning? Getting started with Warehouse Insight is simple. The primary task is cross-referencing item barcodes to your NAV item data. That’s it. There are several additional options that can be configured based on your process but none of them are required to get going. How much information is a barcode able to obtain? Any NAV field can be extracted from a barcode. Multiple NAV fields can be populated with a single scan. Some of the data that can be extracted from a barcode include items, variants, lot information, expiration date, unit of measurement, quantity and more. Can information from NAV be displayed on handheld scanning devices? Specific information from NAV can be delivered to devices, including “Decision Support” messages to help guide users in specific tasks. The information displayed is based on the custom rules and business logic within NAV. The information displayed on devices is configurable. While the header and footer information is standard, the content within the screen can be customized to show or hide columns and menus. When working with multiple quantities of a single item, does the item need to be scanned multiple times? Warehouse Insight can be configured to adhere to the rules and processes you set out. You may force the user to scan every item or simply scan the item once and enter the quantity manually into the handheld. This configuration can be done per activity – for example, you can prompt for quantities during receiving, but default to the line quantity while picking. What brands of handheld scanners does Warehouse Insight support? 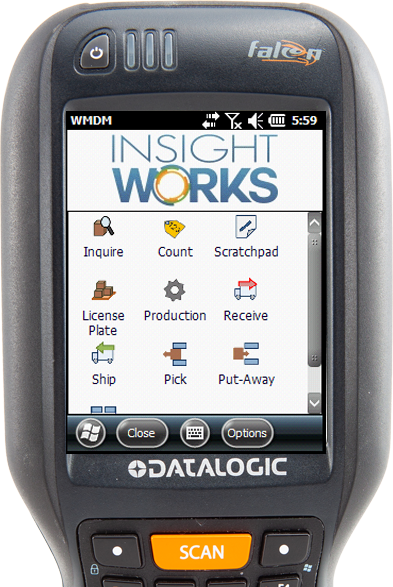 Warehouse Insight supports most makes and models of scanners including Datalogic, Zebra, Honeywell, and others. Do scanners have to be purchased from Insight Works? No. Insight Works does supply scanners, but you are free to procure scanners from your supplier of choice. Not sure what you need? Insight Works has certified sales professionals who can help you. Warehouse Insight supports most makes and models of scanners. 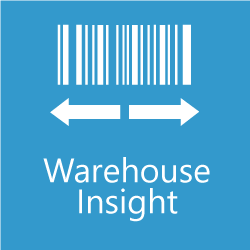 Are services from Insight Works required to configure scanners with Warehouse Insight? No. Your IT department will be able to handle the configuration of your scanners although some initial training from Insight Works may be required. How does Insight Works deliver training? Insight Works makes it simple as all installation, training, and support is delivered remotely. I have multiple warehouses. Do I roll out Warehouse Insight to all locations at the same time or one-by-one? We recommend rolling out Warehouse Insight to one location to start. We suggest working with the location that has the most experienced staff. Once staff understands the process then it’s a good time to roll out Warehouse Insight to the remaining locations. What sort of Wi-Fi network is required to support Warehouse Insight? Insight Works recommends performing a Wi-Fi assessment to ensure your wireless network will support Warehouse Insight. Typically your IT service provider can assist with a Wi-Fi assessment. If you prefer, Insight Works can also perform a Wi-Fi assessment. What sort of uptime can we expect from Warehouse Insight? Warehouse Insight is backed by Dynamics NAV, therefore, uptime is dependent on the uptime of Dynamics NAV (which includes your network uptime). If you’re currently experiencing 99.99% uptime from your Dynamics NAV then you can expect the same from Warehouse Insight. What happens in the event our Wi-Fi network goes down for an extended period of time? Warehouse Insight does not impact Dynamics NAV standard behavior, therefore, manual entry including printed put-away and pick sheets can be accessed. The Scratchpad application allows you to continue to scan activities offline and upload them to NAV when back on the network. Questions about mobile device selection? Check out the Mobile Device Frequently Asked Questions. Dynamic Ship™ helps streamline tedious and error-prone shipping tasks by seamlessly integrating into your Microsoft Dynamics NAV system. Ask for a demo! Shop Floor Insight for NAV is a comprehensive solution for barcoded time capture, field service, time and attendance, and employee management. Advanced Inventory Count enables inventory managers to simplify inventory & cycle counts with comprehensive data entry, reconciliation, & analysis tools.